I first met Barbara Shapiro when she was newly signed to Algonquin Books and we were going to their BEA party together. To say I liked her instantly is an understatement. How could you not like someone raucously funny, smart, and with excellent taste in cowboy boots and jewelry? 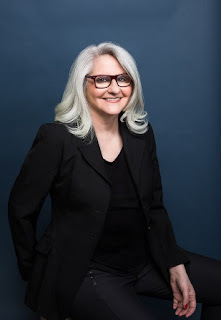 I watched her star ascend with absolute delight, from the NYT Bestseller status of the Art Forger, to awards after awards for The Muralist, to standing room only events. But even better than that, we've become fast friends. Her latest, The Collector's Apprentice, is, like all Shapiro books, racking up the raves and packing in the events, and I'm just delighted to host her here. Let’s talk about art. Were you always interested? How difficult is it to translate how art makes you feel—and the intention of the artist in the medium of writing? And do you look at art differently now? Do you paint? When I was a little girl I wanted to be an artist. My parents were very supportive, clearing a corner of the basement for my “studio” and sending me to art classes. Unfortunately it became clear very early on that this was not where my talents lay. So I became an art appreciator. I travel a lot and the first thing I do in a new place is to go straight to the art museums. It’s hard to translate how art makes me feel, but because I feel it so strongly it’s probably easier for me than for others. And I love to pretend I’m an artist, to get inside the head of someone with the power to transform what they see into something someone else sees too. The more I learn about art, the more I study the works and the artists, the more I’m amazed and fascinated and overwhelmed by both the process and the product. I‘ve always been a huge admirer of the way you play with time. Do you do that in real life? I’m also someone who structures everything right down to the way I spell my name, so I’m always fascinated with how other writers get their novels together. I love to play with time, knotting and braiding multiple stories and multiple characters, but it does get to be quite a handful. And yes, I’m a plotter: I have to know that I have a beginning, middle and an end before I can begin to write. Of course, this always changes—in some books it changes completely—but I still need an outline even if I know it will probably be thrown away. I’m a statistician by training, and I use statistical methods to plot out my novels: normal curves, bubble graphs, tension charts, etc. Then I use the tried-and true multicolored file cards and graph paper. This third novel of your art trilogy is about collecting art, and not simply making it. But it’s also about fraud, which figured in your previous novels. I think it was you who told me that many of the paintings displayed are actually forgeries! But people are also forgeries in a way, because they create new identities for themselves, especially Vivienne. I want you to talk about this, but also, wouldn’t you say that this is what we writers do, too? We take on the skins of our characters and become them in so many ways? Fraud is the best. I have a Ph.D. in sociology—because every fiction writer needs one—and used to teach a class called Deviance and Social Control at Tufts University, which explored groups and individuals who are considered to be deviant in different societies or in a single society at a different time, and this turned me on to all of these fascinating ideas. In The Collector’s Apprentice, my favorite shape-shifter is George, aka Ashton, Benjamin, Istvan, Tex, etc. He slides in and out of different personas the way other people change clothes. I love him and hate him, and I’m completely fascinated by the workings of his mind—and by the emptiness of his soul. Hopefully I haven’t taken on too much of his skin. You’ve said that this was an art trilogy, that your next novel, is in present day, and set in a storage unit. What made you decide to go back to the present, and how does that feel? Is the writing of this new novel any different than your usual process? 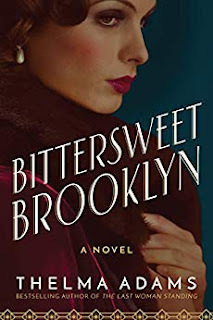 Historical novels have their own set of difficulties and complexities above and beyond all the difficulties and complexities involved in writing a novel, so I decided to give myself a break. This is freeing, but I also discovered that in some ways it’s harder—I use the historical research to give me ideas, storylines and characters, and now I have to make it all up myself. And yes, my process started out very different, but didn’t end up that way. This story has seven viewpoint characters who are linked through the self-storage units they rent in a medieval-style building in Cambridge, MA. They are rich, poor and in-between, they are black, white and brown, they are Christian, Jewish and atheists, and they would never have come in contact with each other without the randomness of their storage units. It’s a novel about class in America, and I decided I would abandon my usual super-structured methods and just write chapters about each character until I figured out who they were and what was going to happen to them. I did this for about six months and was incredibly frustrated. I felt like I was getting nowhere. So I got out my normal curves, tension charts, graph paper and multi-colored file cards and plotted the whole thing out. Then the ideas flowed, the story took shape and the characters did too. Come on, don't you just love debuts? 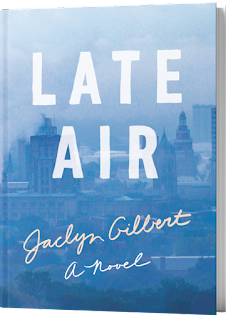 The notoriously cranky Kirkus Reviews does, calling LATE AIR, "elegiac...a carefully plotted and cautiously hopeful novel about the ties that outlast marriage. 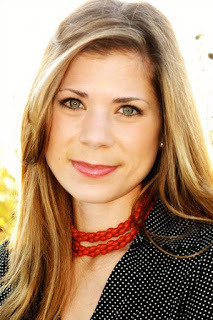 "Jaclyn Gilbert received her MFA from Sarah Lawrence College and BA from Yale University. 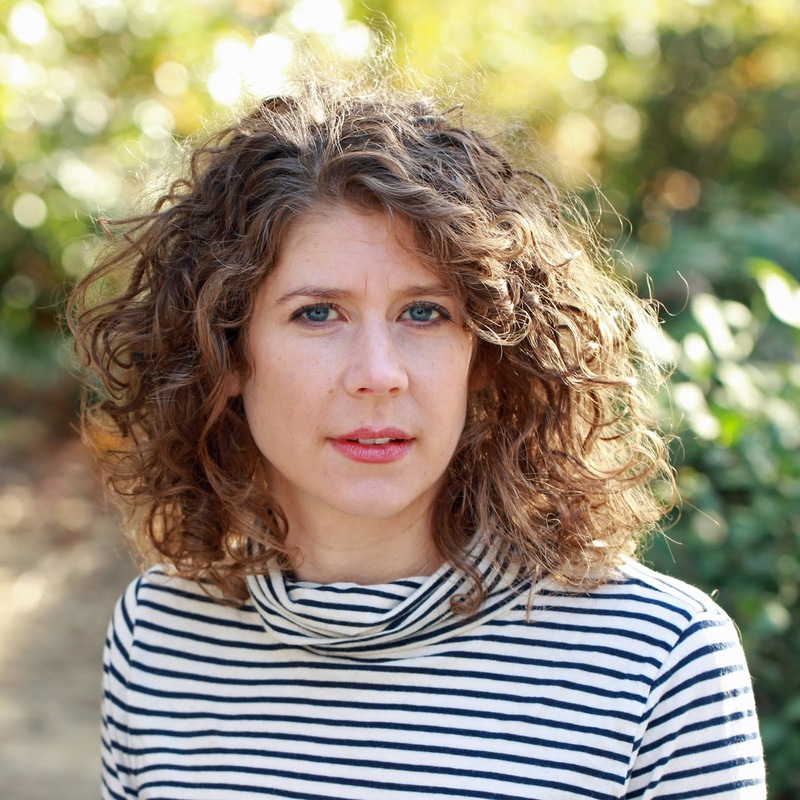 She is the recipient of a research fellowship from the New York Public Library, a contributor to the Bread Loaf Writers' Conference, and her work has appeared or is forthcoming from Post Road Magazine, Tin House, and Lit Hub. I'm so jazzed to host her here! Thank you, Jaclyn! I always want to know about process. I understand that this brilliant novel was a short story first. (That was my experience, actually, with my first novel!) How did you transform it into a novel? How difficult (and exhilarating) was that? At the time, I knew very little about traumatic head injury, but began reading as much as I could on the topic, studying regions of the brain, and the speed and distance required for a golf ball to incur severe damage. I also knew that the narrative felt too confined to the coach’s experience of his athlete’s accident, and I wanted to weave in a female perspective that could look at larger questions of grief and recover. At Sarah Lawrence, I had the good fortune of working with David Ryan as my thesis advisor, who was the first person to get me to think deeply about what stories Murray might have repressed from his past. He helped me think of trauma as an echo split into tiny fragments that could erupt out of the coach when triggered by a sound, smell, or image. I spent weeks meditating over the color and shape of Becky’s wound, and through drafts of endless free writing, I began to see where its echoes might resurface in the present narrative, through the blue of a swimming pool for instance, or the color of the sky around dusk, and I began to imagine a deeper trauma running parallel to that of Becky’s. I began to imagine Murray’s runners as extensions of the daughter he never had, and this understory became a constant source of interrogation for me. I have never had a child myself, so I began immersing in research around what it might feel like to give birth to a child in my late thirties. Over time, I was able to develop the character of Nancy, someone whose literary and perfectionistic neuroses I can identify with, as much as I can Murray’s obsession with running and the body. Transforming this story into a novel was very much a process of trying to marry and reconcile different aspects of myself through characters that were as much parts of me as they were points of departure through their lived experience as new parents. Their own opposite journeys around grief, or the opposite ways they needed to heal in the aftermath of an unfathomable loss, in many ways allowed me to grieve the greatest loss of my own past. My father and I no longer have a relationship, and my own struggle to redefine my relationship to running as not something I need to use to control and order my life to the point of injury, but as something that allows me to be present in my body and more compassionate toward myself as a whole, ultimately fueled the writing and recovery process driving this book. 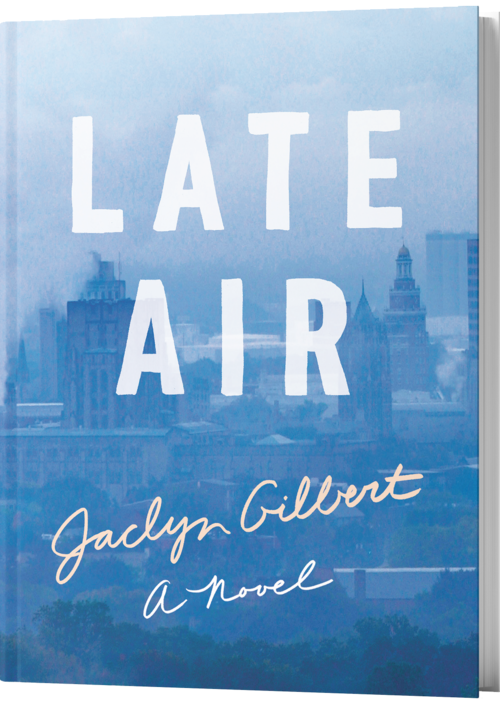 So much of Late Air’s emotional arc required questioning what it means to grieve as a means of survival—and what it means to forgive oneself and those you love in the process. The opposite nature of my characters’ journeys also helped move the plot forward; while I knew they each had to find their own way through time and memory back to one another, I didn’t know how they would, or how many pages it would take. My revision process was about constantly finding that balance, shaping their paths in a way that felt most organic to their humanity, and the trauma that fractured their lives, but also joins them together at the end in a search for lost time, love, and wholeness. One the things that moved me the most is the idea of how marriage changes—how it can grow. I always used to think that the best relationship was when it was new and passionate and sparking with excitement, but after 25 years, I’ve discovered the best, truest, deepest love is when you’ve been through so much together, when you can actually learn to see each other. Even so, I was surprised and moved at how the novel ended. Did you always know it would end that way? I think my answer to this question is embedded in my answer to your last one, but in short, I suppose I didn’t always know the novel would end this way. I think this is true largely because it took me time to understand the scope of the story I was trying to write. At first, I thought it was the story of one coach and his runner, but when I began layering in his past and realized it was really a story about a marriage and the death of a dream, I began to see more clearly where it could end. I vividly remember the day an image of the ocean came to me, with a couple sitting on a bench looking as gulls dove in and out for fish, and something about that image felt right. I kept the image vaguely in my head, writing toward it as best I could, and in time, images of blue and water began to recur. In this way, I began to see that blue was both a source of pain and healing for my characters. That the ocean of breath, or the life force that is taken from Nancy and Murray, is also the thing that they share and are looking for through running. I think it was this image that allowed me to imagine Nancy becoming a runner toward the end of the novel too—even though it is the last thing she imagines herself becoming after she blames Murray’s obsession with running and coaching as the reason behind their failed marriage. I am convinced that this image of the shared void between Murray and Nancy as a body of water helped me find the ending most completely, to explore all of its reverberations through the color blue in Late Air as a dual means for learning to sit inside our wounded bodies, as well as transcend them through a shared experience of love and loss in the end. I was also fascinated with how you wove the past story in with the present story, the story of Nancy and Murray’s marriage in with their respective careers. For me, it’s always so difficult to know what to put in and when. How did you do such alchemy? One of the most helpful tools I learned was through my thesis advisor, David Ryan, who told me about kernels and satellites. In this craft idea, you decide which thing had to happen in your book to make it the story you are telling, and you decide that, you have to be very selective about which details, scenes, and images will be most effective at circling that core moment or truth. Once I realized that I was telling a story about two traumas, I had to think about all of the ways those two traumas were working in echo; I had to figure out which key aspects of Nancy and Murray’s characters would be most effective in establishing their love for one another and their hope for their first child, as well as reveal all of the ways that dream had been shattered through the past and present narratives. I would say that none of this came easily. So much of it relied on telling the surface stories of both Murray and Nancy’s lives, both apart and together, and then deciding all of the ways they overlapped, and what scenes would allow me to most effectively create depth and sub-text around what I know, or at least think I know, to be true about them. This whole process required a lot of cutting and reshaping. It required a lot of patience and diligence in trusting that layers would be able to weave themselves together through the magic of memory, imagination, and time—or through the process of revision itself, since it allowed me to deepen my connection to the story I was trying to tell, allowing the story to form its own memory and pool of subconscious I could call forth in moments of intensive rewriting. I know you were a runner yourself, which acts as a superb metaphor in the novel i.e. what are we running from and why aren’t we running to? Can you talk about this please? In writing this book, I realized that running is a double-edged sword. In one way, it can be something that allows us to run away from our emotional pain, as a practice that allows for the adrenaline rush, or the high, that can let us escape what we don’t want to feel or re-experience. For me, it was my father’s critical words when I was a teenager. The last thing I wanted to feel or hear were these words, and running allowed me flight from the idea of the woman I feared becoming in his eyes. Running in this way was a means to control my body, to focus on racing times and my weight instead of the question of my father’s love, which proved to be conditional when I was in college. The conditionality of his love set in motion a grieving process that I think Late Air seeks to reconcile or find peace with. 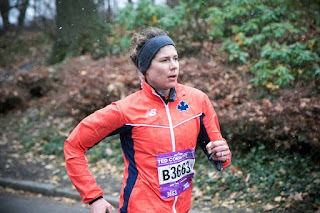 I realized that my writing process was very much tied to my identity as a runner; I realized I needed to find a way to affirm myself through the experience of writing, as much as I did in my experience of running, so that both writing and running could serve as paths of salvation, and not destruction. In this way, the book became about running toward what I was most afraid of feeling, so that I could ultimately transcend and heal from that loss. The death of a child is, I think, in many ways a metaphor for the death of the child in me, or the child I felt my father couldn’t love unconditionally in the same way I was trying to find a way to love myself unconditionally in this life. Nancy’s journey took the shape of my own through her own desperate search to sit in her body again. Her running chapter offers a source of healing that can redirect her journey as one that seeks not to forget her pain, but that which accepts it and lets it go so that she can forgive herself as a wife and mother. It is what allows her to have compassion for Murray by the end of the book. 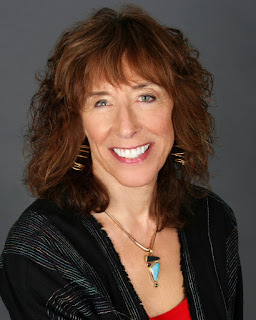 Through Nancy, I ultimately found greater compassion for myself; all the long runs I took while writing this novel helped me learn to sit in my body just as she had to; Nancy also taught me to sit through the most uncomfortable aspects of the writing process. Rather than flee the scene, I had to write through conflict, feel what my characters were feeling in their bodies in order to make their experiences most whole. I am obsessed with a lot of things, I would say. But one thing I realized I am particularly obsessed with is the psychology of repression: how we can spend our whole lives repressing a given story or feeling like a secret that leads to a continual cycle of trauma. In our current political climate, I often think about how many stories have been repressed through the whole of human history to give priority to other stories that do nothing but incur further violence and destruction. I feel desperate to understand why we may repress what we do because we are men or women, husbands or wives, sons or daughters, parents or children; I realized that it is the fact of binaries that lends for a continual repression of otherness that fails to recognize the ambiguity of our humanity. As a writer, I realized I want to do more to honor that ambiguity, especially as it relates to societal norms, and I want to find a way to show that moral ambiguity is far more interesting than absolutism’s attempts to define our morality as either good or evil. In my writing, I hope to make the experience of reading more about the process of asking questions and trying to see things from as many vantage points as are possible, so that we can begin to believe in the multiplicity of truths, and celebrate the shared experience of not being able to pinpoint a single answer. I think you’ve allowed me to get at the heart of what I am trying to write. Thank you! I think my last answer to the great human question is that to find patience and love for ourselves is to find it in others, and as a writer who is still very poor at practicing patience, I am determined that each day I try to be more patient, I might inspire others to do the same—as a means of becoming less reactive when confronted with fear and conflict. As a writers and readers, my hope is that in an age confused by the competing demands of technology, consumerism, and media, we can still find time to step back and observe how beautiful it is we are all here together: alive. 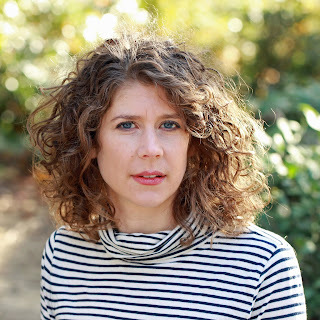 The extraordinary Sarah McCoy talks about MARILLA OF GREEN GABLES, her brilliant new novel based on a side character of the beloved Anne of Green Gables. Sarah McCoy is one of those people you automatically fall in love with. We did an event together and I never had so much fun in my life. (Case in point: Sarah and Jenna Blum and Jane Green and I all planned a writers pajama party in a hotel, and even though it never happened, we all acted as if it had.) Sarah's also a wonderful, wonderful writer, and her new book MARILLA OF GREEN GABLES explores one of the characters of one of the most beloved books around, Anne of Green Gables. Sarah is the New York Times, USA Today, and international bestselling author of The Mapmaker’s Children; The Baker’s Daughter, a 2012 Goodreads Choice Award Best Historical Fiction nominee; The Time It Snowed in Puerto Rico; the novella “The Branch of Hazel” in Grand Central; and Le souffle des feuilles et des promesses, a French exclusive title. Sarah! Thank you for being here! It’s always fascinating to me what makes a writer decide that a particular novel is the book they need (not just want, but need) to write now. What was it like for you when you started Marilla? What made you decide to revisit Anne of Green Gables? And what made you decide to center on Marilla? I actually hadn’t thought to write Marilla until about two years ago. At the time, I had just completed another novel called Pride and Providence, which sold internationally. I was in the process of changing North American publishing houses. While getting to know potential new publishers, the executive editor at William Morrow/HarperCollins gave me a call. She basically asked me to share a book a book idea that excited me to write next. No strings attached. No Show me the first 100 pages or What have you been researching for the last five years? The door was wide open. All she asked was: What makes your heart sing to write? I’d never had an editor take an active role in the brainstorming part of a book’s development. It was refreshing—and inspiring. So I followed her instructions and the first idea that came to mind was… Marilla Cuthbert. I’d always been fascinated by her as a prominent yet only partially known character in my beloved Anne of Green Gables series. I grew up with the books and was obsessed with everything related. I dreamed on the characters long after I finished reading. Particularly pertinent to writing this book, in Chapter 37 of Anne of Green Gables, Montgomery drops this juicy detail on us and then keeps on walking with Anne Shirley. Anne looked up with swift interest. I can’t tell you the hours I spent dreaming on the answer to that, what happened, Marilla? I guess you could say I’ve been writing this book my whole life if one was to pinpoint that lightning-to-brain moment of curiosity. And like being fire-bolted by the heavens, this was a novel that somewhat terrified me to write. Green Gables is sacred, after all. But my love for Lucy Maud Montgomery’s legacy usurped my fears. So I went into the writing with the goal to honor that and give Marilla the spotlight that I felt Montgomery would approve. There’s something about that word “spinster”—which of course was a terrible thing to be in the 19th Century, and now is no more terrible than saying you are left-handed. But what I loved is that you took that label and made Izzy the one who pushes your heroine out into the world, and even makes Marilla realize that there are other lives than the traditional one that she can choose. Can you talk about this please? What if your life’s picture doesn’t look like that? Is it therefore not worthy of praise, of being ‘Liked’ on Instagram, of being remembered in history? We’ve got a really skewed perspective of worth, especially women’s worth. That isn’t particular to modern times either. I think Montgomery (as a pastor’s wife) recognized it, and if she couldn’t voice her unorthodox opinions in real life, she definitely did in her fictional Avonlea. Marilla, Matthew, Anne: they are celebrated for being a beautiful, successful yet unconventional family. That’s part of why I believe the Green Gables legacy continues to thrive. It’s about overcoming adversity and fearlessly sharing the message: “You can, too.” Unlike many of the louder messages being shouted at us from TV, radio, the Internet, etcetera, this one is shared between the reader and the page. Only there does it have a chance to seed itself. I know its capacity. I experienced it the first time I read Anne of Green Gables. It influenced who I grew to be as an adult, a writer, and an advocate of diversity. I absolutely loved all the historical details. The writer Mary Morris once told me that in doing research, forget the dates, but look for the stories, the human drama. Can you talk about your research? What surprised you? Out of the hundreds of cable channels, I could honestly do with just four: History Channel, Biography Channel, Turner Classic Movies, and PBS. I am a proud history geek. You can’t beat the drama of historical narratives. It’s too wild for anyone to make up! I write historical fiction because that’s what fires me up. Lucy Maud Montgomery gave us two complicated, yet deeply lovable characters in Marilla and Matthew Cuthbert. She left an excellent literary breadcrumb trail, and I considered it a joy to follow it backwards to discover their younger selves. The most important part of doing Marilla justice was to pay attention to the Green Gables world that Lucy Maud Montgomery created. I annotated all the original series, alongside every biography I could find, including The Complete Journals of L.M. Montgomery. Montgomery wrote so many tiny, wonderful details that give glimpses to Cuthberts’ pasts. So I spent a good amount of time re-reading the first few books (in which Matthew and Marilla are featured) and recording every description, emotional response, comment, opinion, habit, routine, and preference. Then I placed them into the historical context to find the connections. Being an American, I had to also give myself an intensive course on Canadian history. I was in touch with Canadian author Susanna Kearsley, who graciously answered my questions about the varying opinions of Canadian politics. Susanna sent me links to archives related to 19th-century political parties, particularly as the documents pertained to the issues of English sovereignty, independence, slavery, and runaway slaves from America (pre American Civil War). I learned there was far more conflict in Canada than we, Americans, recognize. It was fascinating and eye opening to see similar cycles of bitter division between citizens. I wrote this book during our own conservative versus liberal struggle in the wake of the 2016 U.S. presidential election. The historical mirrors were undeniable. Last but not least, I spent October 2017 on Prince Edward Island island. It was important for me to walk Montgomery’s old haunts, explore the island’s historical settings, and meet with her relations that continue to thrive in Cavendish (a.k.a. fictional Avonlea). I felt quite like I was living in Avonlea, and who better to welcome me than Montgomery’s kin. George and Pamela Campbell—brother and sister cousins to Montgomery— opened their family’s home to me. They own and operate the Anne of Green Gables Museum and the Anne of Green Gables stores across the island. Their knowledge concerning Maud’s writing life and the lore of Green Gables was invaluably helpful. I was honored to receive their and the Montgomery heirs’ blessings on this book. The past is truly prologue for the present. Your novel takes a fascinating side route to a lot of important moments, revealing them to us in new and important ways. For example, instead of writing about the Underground Railroad, you hone in on the survivors who hit Canada, and what their lives might have been like. What was your writing process like in deciding your historical timeline? That was probably the easiest part of this book. Lucy Maud Montgomery gave me the birth and death of my characters. According to the Anne of Green Gables series, Marilla was born in 1824, and she died in 1910. She also wrote that during Marilla’s childhood, her father built Green Gables. It was a developmental time for Avonlea as an established island village. I chose to begin the novel at roughly a similar age as when we get to know Anne Shirley. I like narratives that have threads between them, and I certainly wanted to pay homage to the novel of inspiration (Anne of Green Gables). There’s a kindred spirit link between young Anne and old Marilla. With this book, I wanted to show that a ‘spirit link’ doesn’t just work forward in time. It works backwards too and loops in unconventional ways that our limited scope of human understanding may not comprehend. Nonetheless, it exists. So we begin when Marilla is thirteen years old in 1837. You’ve written so many extraordinary books. Does the writing change for you in book to book, or do you have a process that you depend on? Each book process feels similar in that all my work is historical fiction. So I start in the archives, unboxing forgotten facts and memories, digging up infinitesimal details, because they always hit at something larger! I consider myself a story archeologist. (For a brief stint in college, I thought about being a real one—I even took Geology, which is about as interesting as staring at a rock. Literally.) So first came the research into the fictional Avonlea, created by Lucy Maud Montgomery, within the context of a real Prince Edward Island in a real Canada between 1830s-1860s. It was a tremendously dynamic time in the country and in Marilla's life, as you read in the book. Truthfully, I’m still obsessed with Marilla’s world. There’s still so much about her, about her family (the Cuthberts and the Johnsons), about Green Gables and Avonlea. That’s the thing with Montgomery’s story world: you want to stay in it! I thought I’d quenched my childhood thirst for more Green Gables by writing this book, but it seems it’s just given me a taste for how delicious the water from this well is… and I want buckets more. Thelma Adams is the author of the bestselling historical novel The Last Woman Standing and the O, The Oprah Magazine pick Playdate. She coproduced the Emmy-winning Feud: Bette and Joan. Additionally, Adams is a prominent American film critic and an outspoken voice in the Hollywood community. She has been the in-house film critic for Us Weekly and the New York Post and has written essays, celebrity profiles, and reviews for Yahoo! Movies, the New York Times, O, The Oprah Magazine, Variety, the Hollywood Reporter, Parade, Marie Claire, and the Huffington Post. I'm so jazzed to celebrate the publication of this book by having Thelma on the blog! I always think there is a why now moment for an author to write any book. What were the origins of this one for you? This book was a long time cooking. It began with personal essays and memoir, and expanded when my father shared a half-written short story he'd drafted with his-daughter-the-writer a few years before his death at 62 from a brain tumor. His prose – half typed, half scrawled, disappearing into an ellipse before it concluded – cracked open a new understanding of my father's past, one that was too painful for him to reveal in the jokes and banter and tall tales he told about his Brooklyn childhood. He and my mother named me after my paternal grandmother, Thelma, who died the year before I was born. When I arrived, her death was new, still raw for my father. I presume there were a lot of heavy unresolved emotions when I entered the world, cross-eyed with an unformed hip and squalling angry. As I grew up – not a Mary or a Bonnie or a Sara – I found Thelma a heavy name to carry on the sunny schoolyards of Southern California where my Brooklyn-born father transplanted us. There were no other Thelma's. It was an old and odd name in a world that honored new and unexceptional. With that name, and the wild temper I inherited, I couldn't go with the flow. In some ways the name shaped me – and it was only a matter of time before I tried to figure out the widow whose name I had, and wonder why she'd left so few memories behind. I swam myself out of Southern California through strong academics, went to Berkeley, embraced feminism, wrote poetry, believed that I could own and shape myself and my future. It was a very optimistic time: the cusp of the 80s. I was still being pushed along by the social reform movement of the 60s and 70s. I would make change. I would own my sexuality and not let men define me. And, yet, when I considered my grandmother, and imagined her with my strong spirit and intelligence and energy, I really wondered what it was like to be a liberated woman before her time. What was the price that Thelma paid for her individualism? The answers were not in the stories told within the family. My father had passed. I asked a cousin who'd known Thelma, and he said one word: "Dissolute." Not kind, or generous, or funny. What did that judgment mean? Why did he curl his lip? It only piqued my curiosity. When I had finished a historical novel about Josephine Marcus, the longtime companion of Wyatt Earp, called The Last Woman Standing, the time came to gather my memoirist musings and look deeper into the available history to find my grandmother and her milieu. With my editor's blessing, I went in search of the historical shreds that would shed light on my grandmother. Her older brother had been a small-time hood in the growing enterprise that was Murder Inc., the Jewish mob in Brooklyn in the first half of the 20th Century. He made the news – and the police blotter and a minor paragraph in Rich Cohen's book Tough Jews. With his criminal activity as narrative tent poles, I began to create a portrait of an immigrant family from Galicia that struggled and prospered and climbed to home ownership, and to see the vibrant, star-crossed Thelma as a woman in full. She did not define herself in the way I had since I was that child hopscotching at recess asking: what will I be when I grow up? And maybe that aspect of her will be a challenge for contemporary women reading about Thelma. She is not aspirational as we've come to expect our strong women to be. Survival was her struggle, to kindle the light that shined so brightly within her. She loved passionately – her husband, her brother and her only son. Like a Douglas Sirk heroine, this outsider burned to live. And that was something with which I could identify – and so will the readers who fall in love with this flawed woman born too soon. I absolutely loved this book. The details were so real that I swore I was time-traveling. Tell us about your research and what startled you the most? What startled me the most was how much detail I could build by collecting census data, birth and death certificates and war records. I know it sounds dusty (although most of it can now be performed online). I was able to track this family back to the ghetto of the Lower East Side (and the wheat fields of Galicia) but also I could see when and why they died – and imagine its impact. When a father passes of tuberculosis leaving an illiterate wife and four children, how does she cope? That's the drama. What happens when the family is in free fall – and who steps up? The two-dimensionality of the data becomes the three-dimensional of the imagination. In and among those records was something that was very shocking to me – the widow, 36, institutionalized her two sons aged nine and 11, together in a Jewish orphanage. It's there in black and white: an application for admission among the New York Jewish Orphan Asylum Records for Abraham and Louis Lorber signed by their mother, Rebecca, on August 14, 1905. That happened when Thelma was only three – and I imagined the loss of her brothers had a huge impact on her life and the underlying instability of the threat of being sent to an orphanage herself. I didn't know this fact at all before I started writing – and can only imagine how it introduced violence into the brothers' lives. One became a gangster; the other enlisted in the Army and became a war hero at the Battle of the Marne. Oddly, I'd heard about my great uncle the gangster not the decorated soldier. I also threw myself deeply into the era's popular culture. My father loved to dance and was a mad lindy hopper – as anyone who saw me fly over his shoulders at my Cousin Linda's wedding might remember. I knew he got that from his mother. So I wanted to know where she'd go dancing and what it was like. For years, I spent a lot of time across the street from the Roseland Ballroom at Gallagher's bar and steakhouse, a favorite NYC haunt. And, so, I wanted to know every detail of what it would be like to go dancing at the Roseland in Manhattan for a Brooklyn girl. Similarly, I always knew she would go to the movies as the big movie houses expanded across Brooklyn like the Kinema. And, since I love movies and have a career as a film critic, I imagined the impact of the screen's glamor, the romanticism, the sexual freedom of Joan Crawford and Pola Negri and the beloved Rudolph Valentino, the matinee idol of the day. I spent a lot of time watching those movies, reading about the stars' public and private lives, and listening to Karina Longworth's excellent podcast, You Must Remember This. And I also knew that behavior that might fly on the screen in the Pre-Code 1920s would have exacted a high price for a poor young woman if acted out on the Brooklyn streets. And, in the case of my grandmother, it did. What I love about the research phase is that when you hit your historical fiction groove, the research continually resonates. I call them rabbit holes: when you start reading about one thing, and discover a name or a character or a setting and look up and three hours have passed. All the movie stars mentioned above – Crawford, Negri and Valentino – have "unsavory" pasts deserving of their own novels. I absolutely loved when Thelma, your heroine, ventures over to an Italian family and has her first taste of Italian food, which she adores. But it’s made very clear that “like must sticks with like” and the loss of being a family member makes her bereft. That’s a prominent part of NYC history, where different nationalities “ran” different streets. Could you talk about this please? My father was raised, off and on, by his mother's Italian girlfriends. Jews and Italians lived side by side. He had strong memories of Italian feast days and the freedom of running around the neighborhood with his Italian friends. These memories were almost always joyous: his stories about who climbed the greased pole on the feast days in the Italian neighborhoods wormed its way into my narrative. And criminal activity ran side-by-side in Brooklyn so that Jews and Italians were often in business together although Italians ran the larger Syndicate. Murder Inc., in which my great Uncle Abraham Lorber played his part was predominantly Jewish, a hitman for hire operation to the Italian families. But there were Italians affiliated with that off-shoot organization, too, and these boys that had grown up together on the streets continued their connections long into adulthood. As for the scenes in Williamsburg, Brooklyn, centered on Our Lady of Mt. Carmel, it was inspired by my attending the feast, the Giglio, when I lived in Brooklyn with my husband. And, also, my love for the books of Elena Ferrante set in Naples. The Brooklyn Italian community had emigrated from that same area and I wanted to capture the rhythm of that life, the food, the festivals, and the extended family – and how it might appeal to Thelma to be a part of something larger than herself. How she might see the potential for another mother figure and acceptance, a place to belong. However, here, too, she is an outsider. And, for her, that discovery is heartbreaking. I cared deeply for all the characters and want to know how you develop your characters? I go very deep into character studies before I write page one. It's like an actor preparing character – my goal is to get under their skin and look out through their eyes. I am very detailed about their physical attributes, and handicaps, and ailments that stem from character. It is at the center of all my fiction that each character merits their own book, could tell their own story with themselves as the hero. In this case, I struggled writing the older sister, Annie, because I structured her as the antagonist from a shred of the story my father left behind. The challenge was looking at Thelma through Annie's critical eyes – and it was very painful. Knowing how much Thelma needs to be seen and how that is absolutely not a priority for Annie is heartbreaking. But, I also had to look at Annie through her own lens: no older sister wants to take care of her invalid mother and three younger siblings just at the moment she feels her own sap rising. She also has a self-protective streak that makes her a survivor, which is good for her own children but makes her a ruthless rival in controlling the family soul. And when I allowed her a voice, she spoke with a clarity and strength that surprised me. The mother's character was built on a huge amount of research that provided back story and is less in evidence in the novel's descriptions: she was born in Drohobych, now located in Ukraine. That detail was also on the orphanage admit application. Her character was rooted in that past and its rituals. I needed to know her place as a middle daughter in a large relatively prosperous rural family in order to understand her points of reference and how ill-prepared for the American adventure she was. She hadn't been raised to be an individual; she was part of a herd. In New York, she became a widow alone raising children in a country in which she'd never expected to live. Her values remained those of her roots, and a nostalgia for a time that had already past even in the old country. I found her incredibly sympathetic even at her weakest and most hurtful because I felt for a woman who had been bartered into an arranged marriage and then had given birth so many times and had also miscarried, and whose emotional life was so determined by these bodily functions. I regret that any real memories of these women were harmed in the writing of this fiction. That was never my intent. This isn't memoir but investigation. Choices were necessarily made. I presume there are many more stories for each of these women – and for the brothers as well. I look forward to hearing them in the future because at the root of this book is raising the voices of history's unheard. I chose to start with the woman who was closest to my heart, whose name I bear. Politics -- And writing about the intersection of the women's rights movement and Spiritualism in 19th Century America. It amazes me that so many of the battles that we have been fighting in my lifetime for women's equality were also being hotly debated the century before. To have struggled so hard to achieve the right to vote, to own property, to divorce abusive husbands, to have custody of our own children – and then for me in the present to witness the white men in suits in government still deciding issues like a woman's right to choose, or when to believe a women's testimony about sexual assault obsesses me. One way I know how to combat this is to write female-driven narratives overlooked in homogenizing history books. The other: vote, canvass, and don't get numb! How did being a movie critic influence how you wrote this 20th century Jewish noir? I grew up on The Godfather, Goodfellas, The Sopranos and, more recently, binge-watched Boardwalk Empire. The first "dirty book" I read was Mario Puzo's The Godfather, when Sonny bangs a bridesmaid upstairs while the house is full of family, business associates and guests. But what do we really know about that bridesmaid, her pleasure, the bride, the mother? How would they have seen or remembered that wedding day, the loss of their husbands to the maw of the family business, their children entering lives of crime, the violence on the day of their infant's baptism? What were their dreams and desires outside of the family? I wanted to flip that genre on its head and write about the matriarchy behind the criminal society of men – the sisters, mothers, daughters and girlfriends squeezing out joy in an experience that largely skipped the newspaper headlines and was only sketched out in the census rolls. Certainly, they were more than just collateral damage. Each life engenders its own struggle, its own surge toward the light of joy. And, so, I like to see the moments in Thelma's life where she experienced transcendence -- dancing with her man at the Roseland, sharing a stoop with her brothers and laughing at shared jokes, watching Valentino in the glamorous movie palaces – as something worth rescuing from the unrecorded past and sharing with my readers.